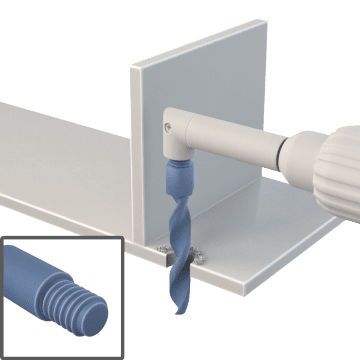 Often used in the aircraft industry and woodworking applications, these threaded-shank drill bits fit into a threaded adapter in angle or offset drills to enable drilling in close quarters where standard chuck-type drills can't reach. 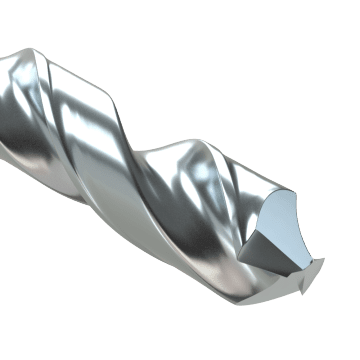 The bits have a self-centering 135° split point, also known as a crankshaft, that helps prevent the bit from walking when starting to drill a hole. Compatible with a range of materials, these bits are made of high speed steel, which is the most common bit material choice for general purpose drilling applications. 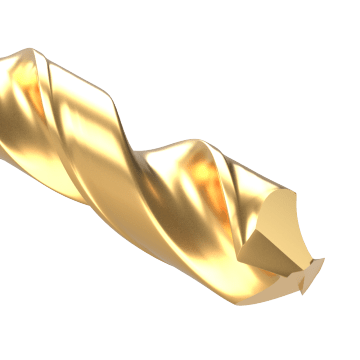 These bits are well-suited for drilling into soft steels, carbon steels, wood, plastic, and nonferrous metals such as aluminum, brass, bronze, and copper. Suitable for drilling into hard materials such as hard steels, stainless steel, titanium alloys, and nickel alloys, these cobalt steel drill bits are harder than high speed steel bits and are more wear resistant at higher speeds.